It is with difficulty that I write this because, as I’ve written before, I love Provo and consider it my semi-adopted hometown (I was born in Provo but grew up in LA). However, the commute was killing me and I can’t very well write about the evils of driving a lot without practicing what I preach. One of Laura’s and my goals is also to reduce our overall driving and moving allowed us to do that; I now commute on foot to work and only drive when going on assignments and Laura commutes via Frontrunner, bus and bike. As I wrote earlier, Laura and I hope to come back to Provo to live. In the meantime we’ve been in Provo at least once a week because most of our friends and family are still there. In other words, you’re only slightly less likely to see us on the streets than you were before. So, you might ask, what does all of this mean for this blog? For starters, I’m planning to do some sort of relaunch in the near future in which this blog becomes a more pan-Wasatch Front urbanism site. 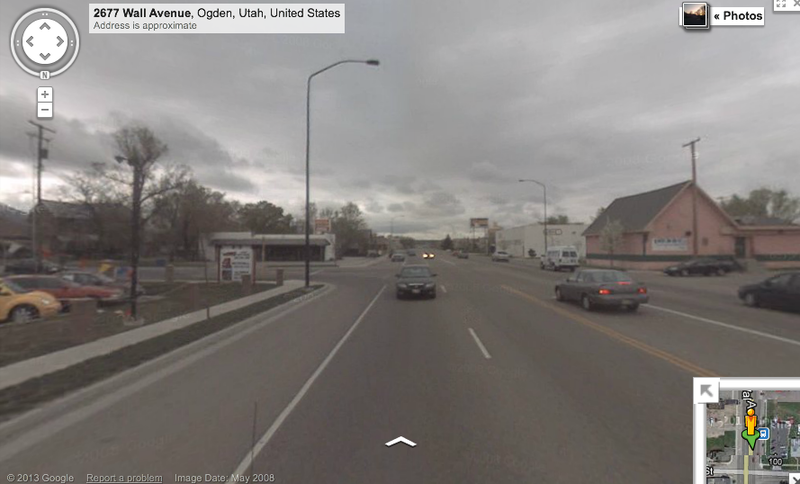 I’ll still write about Provo because I like it, know more about it that other places, and because I think Provo is where most of the exiting developments in Utah are happening. 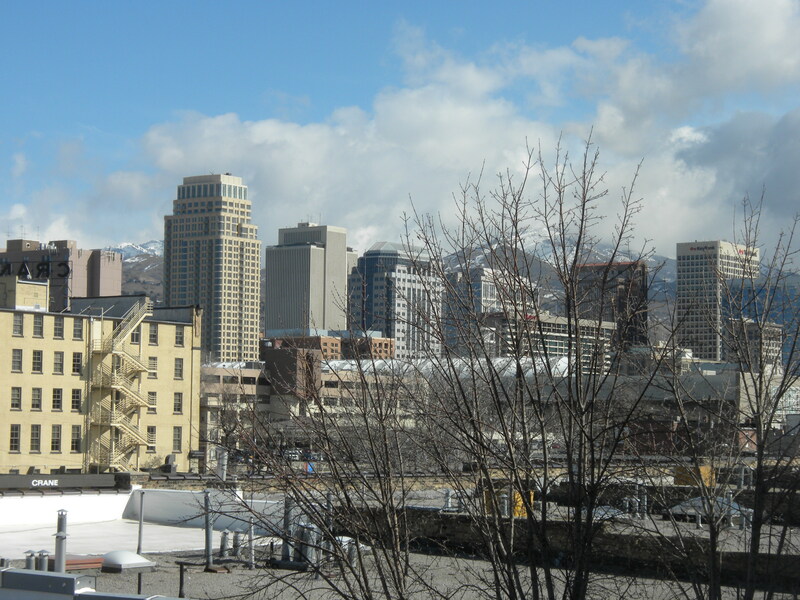 But I’ll also write about other cities along the Wasatch Front. In reality, I already do that so not much will change, except that maybe I won’t tie everything thought back into Provo’s Center Street, the Joaquin neighborhood, or whatever else. So in terms of content, much of the blog will stay the same. I’m not totally sure when the relaunch will happen; I have a bunch of posts in the queue right now that I want to publish before doing it and I haven’t settled on exactly how the re-imagined blog will work. But it’s coming and I thought it was only fair to mention it. Though this home looks like it could be in some big, East Coast city, or possibly even from somewhere in Britain, it’s actually located in… south Provo. 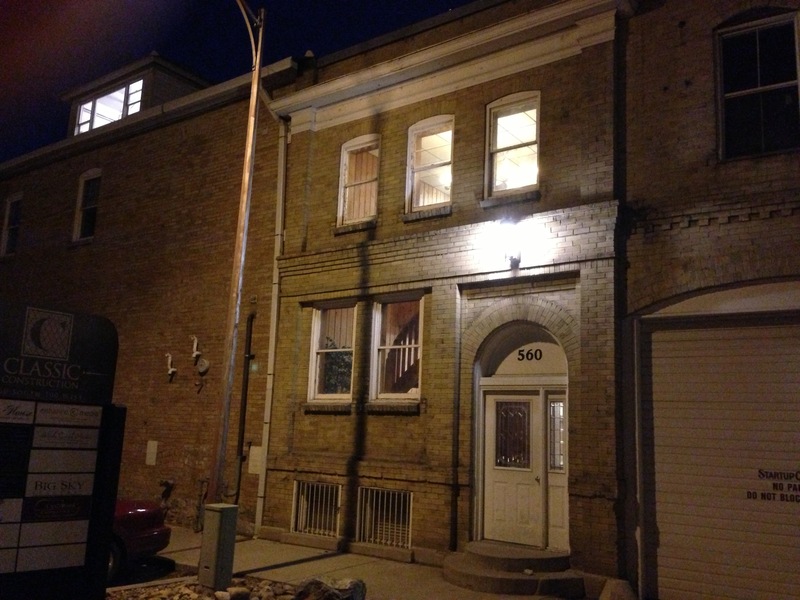 The home is part of the row of buildings that houses Startup Candy Co. and other businesses. In fairness, it is not actually a home now and I don’t know the history of the structure. It’s also sandwiched between some warehouses, which are pretty cool themselves, so it’s hard to notice; I had been by this spot many times but didn’t realize it included a legitimate row house until this last weekend. But in any case, this sure looks like a fantastic home. In fact, I’m sure I’m not alone when I say I’d live here in a heartbeat and I wish Provo had more buildings like this. If this building were housing it’d be charming, small enough to be affordable and close to public transit. 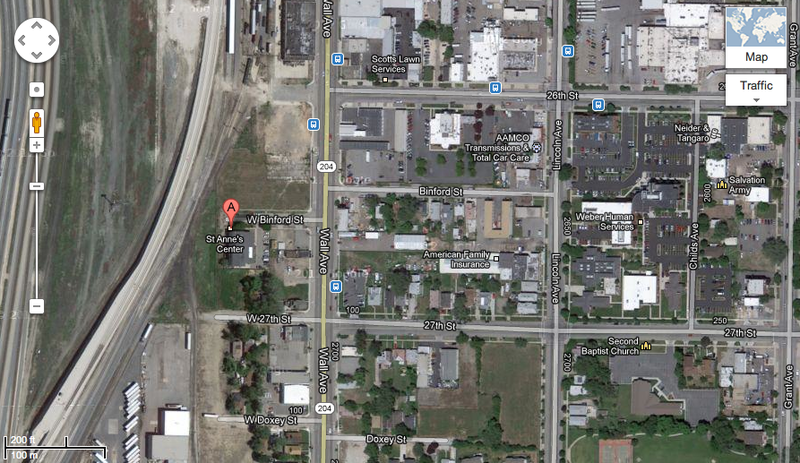 This is also what I’m talking about when I say Provo needs to densify and diversify its housing options. This building has virtually no set back, is nearly three stories tall, and is attached to neighboring structures. Those are the sorts of design principles Provo should be embracing, as this sort of housing can still be built. It’s also worth mentioning here that I’m not calling for all buildings to look like old English row houses. Or, said another way, I oppose aesthetic regulation. Instead, I’m merely saying that this is an efficient and appealing way to use space. The result can look antique, modern, or whatever. The point is just that this approach is often better than other types of housing, including the detached single family homes that dominate Provo right now. I’ve heard that this year one of BYU’s homecoming dances is 1920s themed. However, they may have wanted to bump it up a decade. Thanks to the wonderful Provo Historic Landmarks Facebook page I discovered the picture below last night. 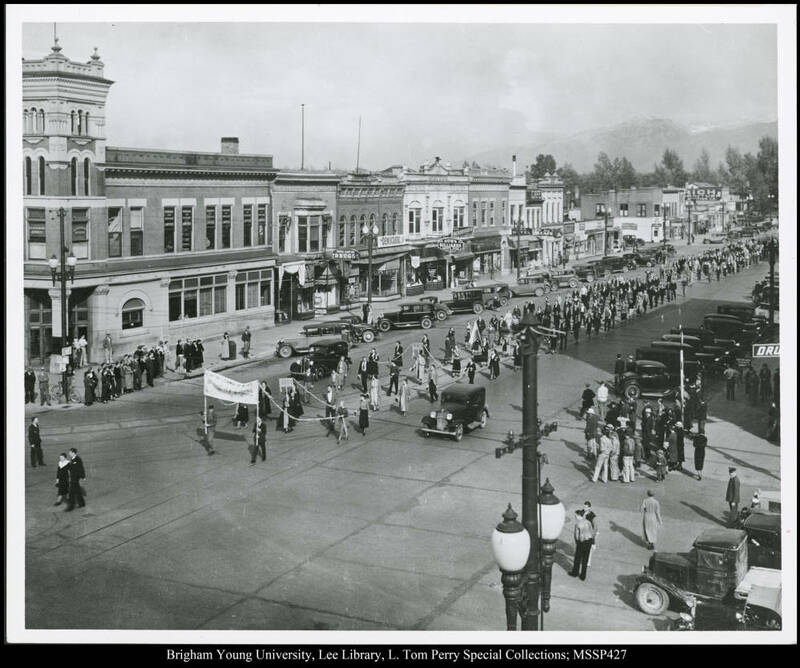 Evidently, it depicts a 1934 homecoming parade on University Ave.
A BYU homecoming parade in 1934. There are a few interesting things to look out for in this picture, in addition to the cool old timey-ness. For starters, look at the streets; the street car tracks are still clearly visible at this point. In addition, the building that currently houses Black Sheep Cafe — the third distinct building from the left with six arched windows on the second floor — either didn’t exist at this point or has since undergone radical revision. The current structure isn’t bad, but it’s not as impressive as the building in this picture. If you need a refresher, this post includes a picture of the same row of buildings as they appear today. In general, the façades have also seen significant revision. The most apparent example is the building on the corner, which currently houses the Bell Room and is the former cite of Los Hermanos. Obviously, the first floor of that building currently bears little resemblance to what it looked like in the 1930s. If you click to enlarge the picture, you’ll also notice that this row of buildings formerly housed a cafe, a hotel, a drug store and other businesses. 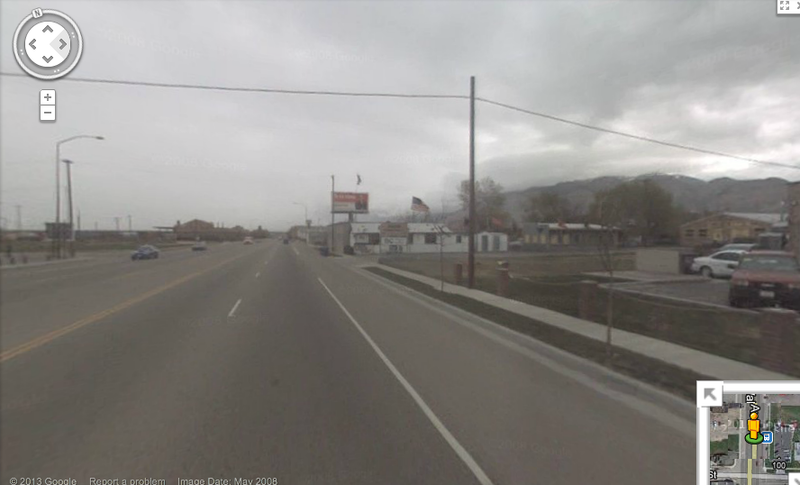 Downtown Provo is certainly getting better these days, but this picture proves that in the past it was actually a more hopping place. If only it could have just skipped the second half of the 20th century it’d probably be a lot better today. Finally, and most significantly, note the diagonal parking along University Ave. It’s actually quite similar to the parking that’s currently on Center Street. That parking arrangement is significant because it could still be beneficial; diagonal parking would mean more spots in downtown, which people are always clamoring for, and would provide an extra safety barrier for pedestrians. It also would make the road seem less wide, which it desperately needs. Ultimately, then, this picture is both interesting and offers examples of improvements that would be easy and cheap to implement.